Where does the BFGoodrich® Mud-Terrain T/A® KM3 tyre fit within the BFGoodrich light truck portfolio? What are the major improvements and new technologies introduced in the KM3? What sets the Mud-Terrain T/A® KM3 tyre apart from other off-road tyres? Toughness – specifically in the critical sidewall area. CoreGard Max technology features thicker sidewall rubber taken directly from our race-proven Baja T/A® KR3 tire. Traction-Armor Sidewall Sculpture in the upper sidewall/shoulder area of the tyre provides additional protection and deflects objects away from the critical sidewall failure zone. What are the specific characteristics of its on-road capabilities? The Mud-Terrain T/A® KM3 provides good handling and grip on pavement, plus reasonable levels of noise. Off-road enthusiasts demand toughness and traction, but also want a tyre that provides good dynamic capability. The KM3 delivers on all of those needs, with a noise level closely resembling that of the Mud-Terrain T/A® KM2 tyre. What specific components were taken from racing? The KM3 has earned the name “Baja Champion” as a result of winning the Baja 1000 Baja Challenge class in 2016 and 2017. Specifically, motorsport competition drove the decision to utilize a 3-ply carcass in all sizes of KM3 and to utilize the same rubber compound in the sidewall of KM3 that is used in our purebred off-road racing tyre: the Baja T/A® KR3. How many sizes will be offered? Australia will have 25 new sizes available from June ranging in size from 16 to 20-inch rim diameters. A full compliment of 38 sizes will be available by end of 2019, providing for 90 percent coverage of the Australian market. The Mud-Terrain T/A® KM3 will have the best coverage of the 17- to 20-inch rim diameter market - the largest segment in this tyre category. How much will these tyres cost? While BFGoodrich does not set the retail price for our products, the RRP for the KM3 tyre starts at AU $289. Prices will vary according to size and more details will be available from introduction in June 2018. Where will these tyres be made? The BFGoodrich® Mud-Terrain T/A® KM3 tyre will be produced at our plants in Tuscaloosa, Ala., and Fort Wayne, Ind. Where will consumers be able to purchase the new tyre? The Mud-Terrain T/A® KM3 tyre will be available through all BFGoodrich authorized dealers in Australia, including our dedicated BFGoodrich Off-road Centres and TyrePlus retail network. The Mud-Terrain T/A® KM3 tyre is designed for the serious off-road enthusiast who requires a tyre that delivers extreme toughness and traction. 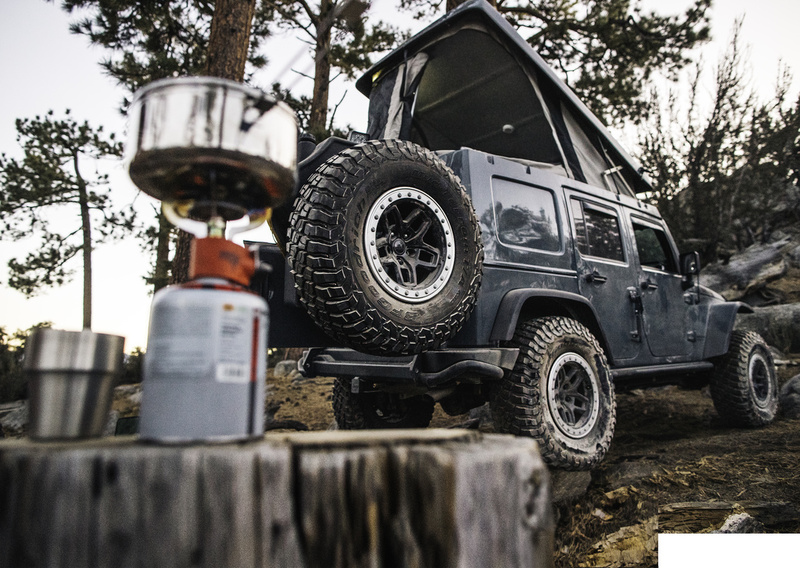 This may be an off-road enthusiast looking for a challenge or an outdoor enthusiast getting off the beaten path to do what they love, such as kayaking, camping, hiking or outdoor photography. Is it a tyre for work or for play? The KM3 is designed for recreational off-road use by off-road enthusiasts. Will you have any OE fitments for this tyre? This is a replacement tyre with potential for OE partnerships in the future.